What is the one thing you could do everyday that would make you feel accomplished and personally full-filled? I was asked this question again last week and my heart sank a bit. Well, first it bulged and then it sank. It bulged because I got excited; I knew the answer. From the depths of my soul I knew what activity made me feel accomplished, centered, happy, and fulfilled. Believe it or not, it had nothing to do with fitness. “WRITING!” I wanted to shout out. But then it sank, because I have not done said activity in exactly six months. 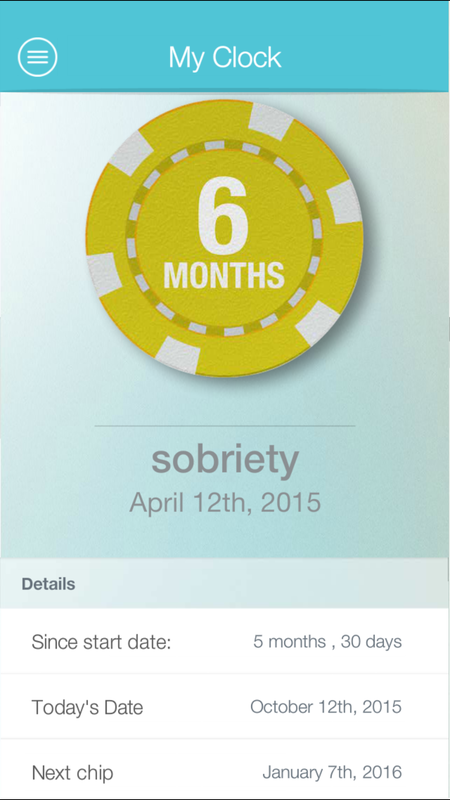 I know it’s been six months because my last post was near my 6-month sobriety date, and here I am sitting at 1 year. Yesterday was exactly one year without alcohol. You would think that sentence would be followed by my usual hundred exclamation marks, but I feel really calm about it. I think day one the accomplishment was huge, and one week, one month, and even 3 months and 6 months, but as time went on it wasn’t as emotional or scary or challenging for me. I also wonder if being pregnant and adding another four months to this goal made the achievement not feel quite as rewarding, or if I have just become so accustomed to abstaining that without the struggle the achievement has less meaning. Either way, I think it’s good that I hit my year yesterday and just said okay, let’s keep going, but I also think it’s good to take some time and reflect on what the absence of alcohol has done for me and my life in the past year. It’s almost baffling how much my life has changed in only a year. As I sit here with a 21-week baby growing in my stomach it almost feels surreal. To think that there is life growing in what I have always labeled the “Achilles heel” of my body is pretty unbelievable in itself. Last year the only thing growing in my stomach was yeast, candida and a leaky gut that left me feeling miserable. After a lifetime of stomach and digestion issues, I was finally at my breaking point. I was on an intensive search to heal the root of the problem and stop medicating the symptoms. I had already taken out dairy, gluten, high intensity exercise, sugar, practiced daily meditation, daily stress relieving walks, focused on 8+ hours of sleep, stopped lifting weights, only practiced yoga 2-3x week after 6 months of doing nothing but walking, fasted for over a month in the summer with a hot bone broth only diet, and took every supplement, naturopathic and pharmaceutical grade medication I could for my digestion and hormone health. For a while I felt better, but I still wasn’t fully digesting food, still had bouts of horrible IBS symptoms, frequent low energy, and unhealthy hormone levels. I was so inflamed I was fluffy and couldn’t help but be unhappy about it. I remember my doctor telling me I couldn’t get pregnant even if I wanted to and that stuck with me. Insert: Sick and tired of being sick and tired. Then I got super crazy sick. Like two weeks of throwing up, in bed, couldn’t eat, inflamed, felt miserable, I think I’m going to die sick. And I looked up and said something has to change. I felt like I had done everything. Everything!! Minus one thing; taking out alcohol completely. 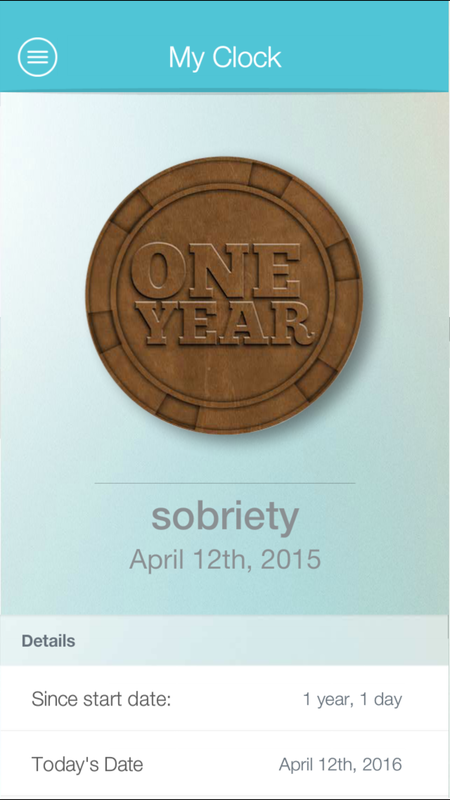 So after being crumbled on the bathroom floor, I closed my eyes and prayed for the strength to be sober for a year. There is no better place for a big life altering decision than physically and mentally crumbled on your bathroom floor; finding resilience through your surrender. As someone who has battled depression their entire life, partly due to the connection between an unhappy gut is an unhappy mind, and partly due to my desire to constantly want to be in a state of achievement and self-betterment with my type A, overly driven, constantly wanting more mentality, I have felt many downs and ups in my life. I have hit rock bottom and I have soared above the clouds. Rarely do I just coast through life. I’m sure when you think of me it is either annoyingly happy or annoyingly sad. I am sorry about that! But one of the things I love about my better half, Jarrod, is that he has always been my steady anchor. He is one of the most stable and consistent people I have ever known; yet at the same time, he is also extremely driven and passionate for life. Hang around the people you would most like to become. Jarrod is a rock of emotional stability. He is a problem solver. To my knowledge, he has never quit on anything. And thankfully, he is my biggest supporter. He sees everything so positively that honestly, it’s hard to find the negative in our life. When we find something negative, we change our words into something of gratitude. He taught me that. We still go to sleep counting our gratitude’s for the day. What a blessing that is. It’s a mindset shift. It’s a choice. I choose to see the good. I choose to be happy. A year ago I found myself hungry for change not only in my health, but also in my life. MOVE was going great, real estate was going great, and everything from friends to family to my marriage was great and stable. I realize this is not a bad thing! Most people love stability. But I thrive on change. I love the hunger, the drive, the pain, the push, the working on all cylinders, and the growth that comes from it. I constantly want more from myself. I want to be more successful. Have more confidence. Love myself in a radiating, heart bursting way. I want to have energy. I want to be healthy. I want to make myself uncomfortable and challenge myself to be the best version of myself. So I wanted to take off to New York City to find that person I so longed to be. And I wanted to do it alone. By the way, amazing Jarrod said okay. Go. Take three months and follow your dream, and if it’s still your dream and you get up there and you love it, we can sell our condo, sell the gym and I’ll move up there with you. Like I said, my biggest supporter. I think he knew leaving was the easy way out, but he didn’t say a word. He didn’t want to stop me from growing and experiencing and learning and changing for myself. Why is it so much scarier to remake yourself exactly where you are? Why do we need to hop on a plane to find our true north? I realized the biggest place for growth was right where I was. Sure, I can move to NYC, surround myself with like-minded people who are at the top of their game, driven, hustling, making it or breaking it, super healthy, super fit, super successful, super passionate. That’s easy. That’s not growth. That’s changing your environment so that it will change you. No, what’s hard is changing who you are right in the middle of where you have always been. It’s changing your habits one by one. It’s adding people and experiences that motivate you and change you and inspire you to be the best version of yourself. It’s taking away the people and things and habits that are bringing you down. I see so many people in their 20’s and 30’s unhappy and anxious and stressed. And I can probably see it more because I can relate to it, I have empathy for them. What is my purpose? Who am I? What am I supposed to do with this life? I love asking those questions. And I don’t think we ever stop asking them. But I see people answer them in two different ways. Positively. Or Negatively. It’s okay to search. In fact, searching and growing is how you better yourself. But chasing happiness and fleeing from difficult situations is only a short-term fix for problems you are just taking with you. What was the root cause and soul radiating need for me to want to move to NYC and become a spin instructor? What lit a fire so hot in my belly that I was honestly willing to leave everything that was already great and stable in order to obtain? I had to ask myself these questions and I had to be authentically patient with my answers. No judgment. Just my truth. What did I truly desire? I wanted to look and feel healthy, no more stomach issues. I wanted to inspire people on a very deep level. I wanted to prove I could make it on my own, financially and mentally. I wanted to have confidence and love myself so much that people saw it radiating off of me and wanted to feel the same way. I didn’t want to care what people thought of me. I wanted to live a passionate life I looked forward to. I wanted to wake up with energy and go to sleep with contentment. I wanted to share my love and passion with the world without a doubt in my mind that I could’ve given more. This past year I can honestly say I have started achieving the root of my deepest desires and have felt more at peace than I ever have in my life. Taking away alcohol doesn’t just solve your problems, but for me, it was the final self-medication that I had to stop in order to see my life more clearly, to own up to my choices, and to create space for my deepest desires. It enabled me to be healthy enough that I could create more strength mentally and physically to achieve the things I have always wanted. And I was able to do it right here in my hometown. Surrounded by family and friends who love me no matter what. Who also want to see me live passionately, chase my dreams, show up and live authentically to the beat of my own drum. A million times yes. I feel balanced, I feel calm, I feel accomplished, I feel in control. I had the highest production year I have ever had in real estate and have developed the most special relationship with my mother and business partner. I became a residential broker which means one day I can take over our company of West Austin Properties and continue the third generation family owned legacy. I have helped friends find their first home and have helped facilitate important life transitions for complete strangers who have become some of my closest friends. I am living my dream of being a world class spin instructor, with the most amazing community of riders/lovahs, leading sold out classes that bring me more joy than anything I have ever done. NYC aint got nothin’ on Love Cycling Studio!! 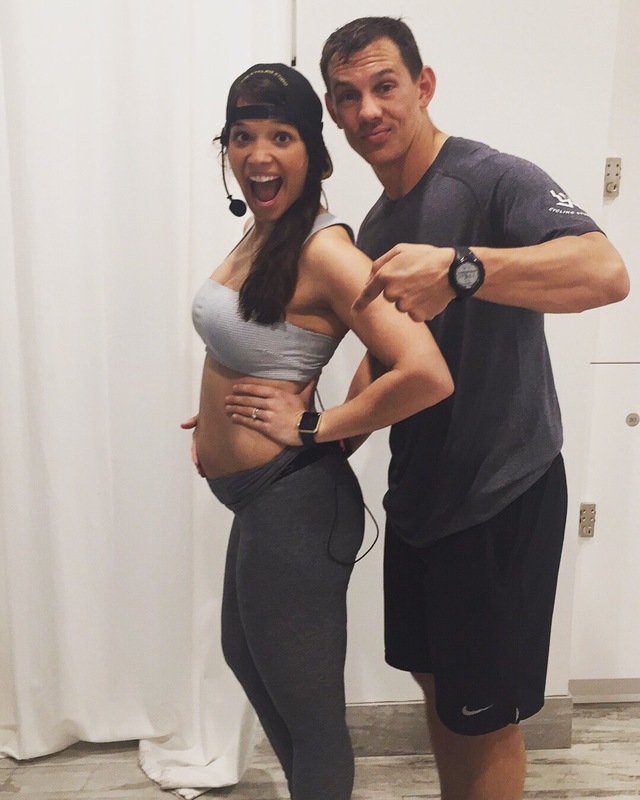 I have been able to be a supportive wife as Jarrod maxed out our membership at the gym and has exceeded every goal we have ever had for MOVE. We just bought our first house together! And the personal biggest accomplishment of all that started this whole journey, I was able to take control of my health!! My digestion, hormones, and energy levels are stable. I haven’t had any stomach issues, and I was able to get pregnant! What a difference a year makes. For the next four months…definitely. Alcohol has lost its luster in my life, which is such a blessing because it makes saying no so easy now. I love being in more control of my mind and my words and my health. There were definitely four times this past year where I wish I could’ve had a celebratory drink. Moving forward, I don’t think I’ll be as rigid about my sobriety, but I will choose my drinking moments carefully. Health is the greatest wealth, and as long as I feel good I am hesitant to change my new routine. But just when you think you’ve got everything under control, God sticks a beautiful baby boy in your life, right in your gut, to mix things up. Yet, I’m not afraid. In fact, I’m beyond excited for the next chapter. I am so much stronger than I ever thought possible. I am resilient. I am confident. I am capable. I am love. This weekend I was reminded of what losing it all could feel like. Jarrod, my parents and I were driving back from a wedding in Fort Worth when we got calls and texts saying our condo complex was burning to the ground. Let that sink in for a moment. Burning. To. The. Ground. And we were in a car in Waco, unable to do a dang thing about it. Thankfully our pup was staying with friends or I would’ve been slightly hysterical. Everyone got out of the burning buildings, but three firefighters were injured when the roof collapsed. It was on the news. It was in my email from the Austin American Statesman. The only thing we couldn’t clarify was which buildings were burning. For a moment, there was the still silence of thinking we may have lost everything. I’m not sure I have ever had that feeling in my life before. It was pretty surreal. Not upset. Nor mad. Just really quiet. Contemplative. Of the 10 or so condo buildings, three burned. 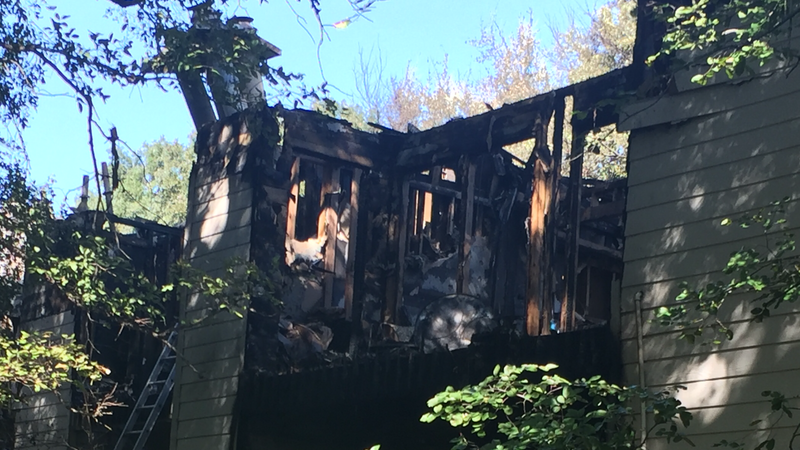 40 people are without a home, 14 units were damaged, and it took 90 fire fighters to put out the fire caused by a transformer explosion. Nothing was salvageable. Thankfully, our condo association waters our trees so frequently that the moisture wouldn’t allow the trees to catch fire and spread to the other buildings. It could’ve easily taken down the entire complex. Our building was untouched. Sadly, we have friends who were in the buildings that burned, and thankfully, they are all safe, but still lost everything. Is there anything more eye opening than that? Every possession, gone. I immediately started thinking about what is important to me. What would I have taken with me if I only had one minute to grab it and get out? Honestly, I couldn’t think of anything. Besides my grandmother’s ring, which I probably wouldn’t have thought to grab in a split second, everything is replaceable. What an amazing thought to be reminded of. If I lost every material item I owned, I would still have everything I need; a loving husband, my pup, my family who I could stay with, and the strength and love within me to start fresh. Flow like water, everything is temporary. My friend, Shelby, posted that with a yoga photo yesterday and it couldn’t have come at a better time. My momma always says, “life is a river, not a lake.” Nothing stays the same. Life keeps moving and changing course. Sometimes you will come across rough waters and sometimes it will hardly feel like it’s moving, but it is never still. It was important that I had this reminder. My life is not set in stone. My earthly objects are not mine. I must strengthen myself, develop my soul, stimulate my mind, follow my passions, and live in love and gratitude. This world is so temporary. The universe so vast. It’s humbling. It’s here today and gone the next. A constant reminder to live every moment to the fullest, follow your heart, and embrace change with courage, strength and love. Today’s Daily Affirmation: Today I will live in love. I will accept that life is temporary. I will follow my heart and pursue my passions. I will minimize the value I put on material things. I will squeeze my family in thanksgiving. I will feel gratitude for my life. I will connect with my soul and stimulate my spirituality. I have nothing to lose. I am already naked. I choose to embody love. Powerful, right? I love how Cope talks about achieving unification through singular purpose. Taking one path. Achieving one goal first. Literally cutting off all options until you’ve achieved your goal or finished down the path you’re on. How relevant is that? I feel like I am constantly being enticed down a million different paths. I love the singularity of achieving just one. What is your dream? Your goal? Your dharma? The ONE thing that is SO important to you, that you are willing to say no to other things…awesome things, awesome paths, but not the thing or path that leads you to the completion of your goal? A strong desire coupled with clarity of purpose is a strong piece to this puzzle. It is hard to make decisions when you are unclear of your end goal. What is it that you want? And more importantly, why do you want it? Without understanding those two answers, motivation becomes weak. Choices are hard to make. The clearer the goal, the easier it is to work backwards: to define the steps you need to take in order to achieve it, to visualize the person you must become, to acknowledge the amount of suffering you are willing to withstand, to have the strength to face fear and self-doubt head on, and then to feel confident in the path you choose. No one is ever going to understand your why, so it is important that you understand it. Engrave your dharma in your soul. Don’t let what is comfortable or easy or pleasure-filled creep in and change what you want. Pleasure is a much easier path. It distracts us. It helps us feel good in the moment, but we can forget who we are and what our soul desires. One of the the obstacles I removed from my life six months ago was alcohol. After years of trying to make it work for me, I realized it wasn’t helping me achieve my goals. I was sick and tired of feeling sick and tired. Mentally it made me a depressed wreck and physically I felt rundown, inflamed, bloated and had a hard time digesting food. Since I am world’s best at being all or nothing :), I just took it completely out of my life. I came to the conclusion that it is okay to not be addicted to something, but still feel a need to take it out of your life if it is not serving you. Until I completely removed alcohol, I had no idea just how much of a pleasure source it was for me. It was something that felt really good and fun and acceptable, but it kept taking me further away from what I ultimately wanted. I felt compelled to re-evaluate what was important in my life and what I was willing to give up in order to achieve it. Date nights, bachelorette parties, weddings, hanging out with friends, football games, stressful nights…all sans alcohol. It was tough! It’s still kinda tough, if I’m being honest. It had become a central part of my social life and I had to relearn what my life looked like without it. 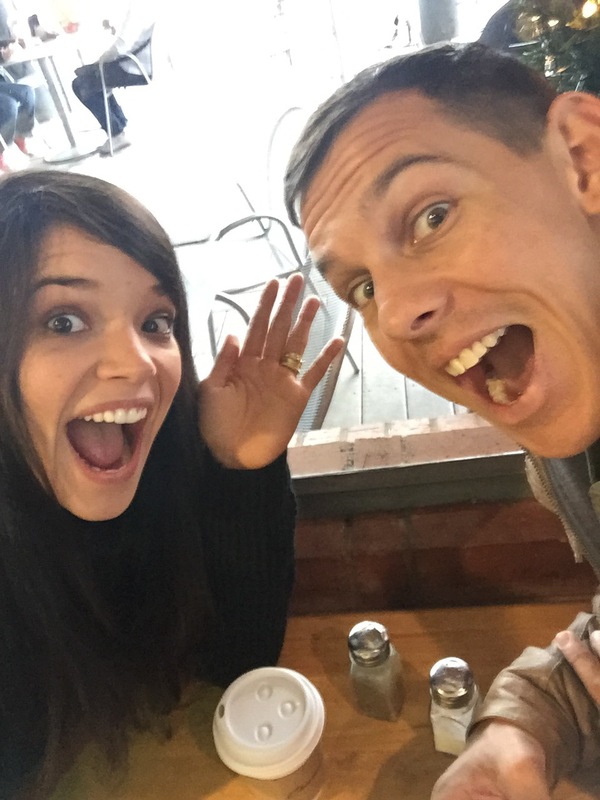 I started going on more walks to de-stress, having more purposeful conversations, mindfully eating, sleeping better and spending more quality time with my hubs. Best husband award goes to Jarrod for also going sober to support my lofty goals. He’s pretty amazing. Honestly, it made me feel so much better almost immediately. My skin cleared up, my fluffy body slimmed up, and the best part…I had SO MUCH free time! I started thinking about ways to fill the time that got me closer to what I wanted out of my life…insert becoming a spin instructor. I honestly do not think I would have made the team if I was still drinking, nor would I have had the courage to try out. I needed the sleep and recovery. The workout was challenging enough without being on a podium, talking, inspiring and leading a full 45 minute class on a bike. I needed to feel confident. I needed to feel like I was living a life I was proud of so I could get up there in front of 45 people and not only be the best version of myself, but be confident in being a leader up there. Those lights are very transparent! It has helped me grow and be 100% responsible for my actions. It has helped me show up, for myself and for others. It has helped me take a risk I would’ve normally not taken. And it’s just the beginning of the path, and only a small part of my journey. I also started to feel authentic in who I claimed to be, who I wanted to be and who I was becoming. For some reason alcohol has always made me have a weird feeling. I don’t really like who I am when I drink. I don’t like the things I say or do. I like being purposeful in my actions. Plus, I swear my body hates it. I don’t know if I’m allergic or what, but I feel miserable after drinking, so I have always felt like I shouldn’t be doing it. I have a hard time moderating alcohol. I’ve made bad decisions, emotionally hurt people, missed opportunities, and put myself in dangerous situations. It’s not the same for everyone, and I am definitely not against people drinking, but for me, it was a big weight on me that I needed to deal with. It’s like wanting to lose weight, but still eating cake every night :). I wanted to feel healthy, authentic, and be the best version of myself, but I was still drinking and feeling miserable. I kept telling myself, I don’t have a problem, everyone else does it, I should be able to manage it too, but it weighed on me and I needed to free my mind of that weight. However, this subject is tough to talk about without sounding judgmental. Drinking seems like the one thing people don’t like to talk about giving up. It’s a non-negotiable. I see some of my clients at the gym work so hard and eat so well, but say they would never give up alcohol. “Life is too stressful.” But then they are unhappy with themselves, want to lose weight, be healthy and feel confident. And the funny thing is, I was right there with them. I was a leader, a coach, and a fitness professional who also struggled with feeling confident, losing weight and finding energy. I too didn’t want to give up anything that created balance in my life or made me feel normal or happy. Honestly, this isn’t just about alcohol, it could be anything. Should my next post be a blog on sugar or carbs? 🙂 Goodbye, readership! But it’s true, people don’t like to talk about giving up things that make them feel good, even if it’s just for a moment. I struggled knowing that taking out alcohol made me feel better, but I wondered if it would be worth it permanently? If I gave up alcohol, would it be worth what I was missing out on, for the path I was walking down? Would people judge me? Would people think I had a problem? Could I just use moderation instead? Were any of my health problems related to other things? Did I REALLY need to take out alcohol? After six months being alcohol-free, which is so small in the scheme of things, I can honestly say, I’m thankful I had the courage to just try it. I didn’t let the questions, fear and self-doubt paralyze me. Do I have any regrets? Not really, but I definitely miss a good Tempranillo at my favorite Texas vineyard, wine dates coupled with heartfelt conversations with my friends, celebratory tequila shots with my LOVE Cycling crew, a mexican martini with my hubs on date night, and the de-stresser drink after a hard day. For sure. But I’m so enthralled with my life now. I feel confident. I feel authentic. I feel healthy. I feel purposeful. I feel radiant. Everyone has something different in their life. It’s definitely not always alcohol. But there may be someone or something that could be holding them back from genuinely showing up in the world. One of mine just happens to be alcohol. I know I have more obstacles worth tackling as well. I also know that I can’t do the same things I’ve always done, and expect results I’ve never seen before. I have to change it up. I have to let go of something in order to gain something else. Slowly removing the obstacles and self-doubt to become the woman I so long to be. To show up everyday. To radiate. To be positive. To accept that life is short. To live each day purposefully, knowing it could very well be my last. Deciding what that life looks like and then taking action to purposefully achieve it. Thank you for allowing me to be transparent. This is all a walk on the side of love and not judgment. Acknowledging my own struggles and showing you part of my journey. Helping me become clearer on why I do what I do and what is important in my life. Challenging others to ask meaningful questions and look inward. To feel confident with ourselves, our choices and the path we are walking down. Head held high. Heart bursting. With a skip in our step. Until we reach the end of our road and head down another. Today’s Daily Affirmation: No matter what path I am on, it is the right path for me. I believe in my journey. I am stronger than my desires. I am authentically showing up in the world. I am creating opportunities. I am better today than I was yesterday. I am healthy. I am courageous. I can go through challenging times and come out stronger. I am learning from my mistakes. I am important. My life has meaning. Today I will show up. I will serve others and I will be the best version of myself. I am already perfect, beautiful and whole. Zest, curiosity, LOVE, creativity, gratitude. Today’s Daily Affirmation: I am grateful for this life. I value myself. I value those around me. I have many strengths. Today I will use those strengths. I am inspiring. I am a leader. I am alive and activated. I am connected to everyone. I serve others. I am love. I love this. Figure out your vision. Write it down. Make it stick. Know exactly what it is that you want and then go after it with everything you have. It doesn’t matter how badly you want it, it will never just be given to you. If you have the power to set a goal, make sure you have the power to finish it. I think this really resonates with me because I have an easy time getting started on something. As soon as I conceptualize it, I do it. I don’t delay action by weighing the pros and cons, collecting a ton of data, or asking mentors or peers, I just do it. Then somewhere along the process it becomes challenging. The joy and excitement of starting the goal washes away and I’m left with really hard and sometimes very mundane work. My challenge is always to keep going. I want to start after a new, more exciting goal, instead of seeing the first goal through. 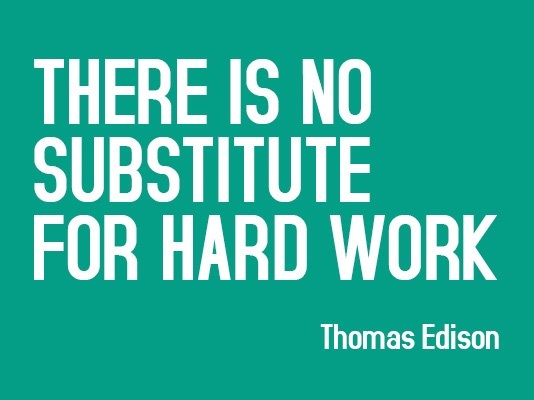 One of the things I realized when starting MOVE Austin Fitness was that work is work. The whole “do what you love and you’ll never work a day in your life” seems unrealistic to me. Millennials, myself included, LOVE to follow our passion. We want to feel valued and important. We want to make a difference in the world. We want to decide what it is that we love and then automatically be the best at it, instead of work hard for it. We don’t have time to rise up through the ranks. We are so passionate about our work that we believe we should already be up front leading the troops. When we change our mind of what gives us joy, purpose, and meaning, we move on; unlike our parents and grandparents who held the same job for their entire life and appreciated the stability. We want to start at the top. Or move up the ladder very quickly. So when I followed my passion of fitness and opened up a gym, I soon realized the hard part wasn’t in the conceptualizing and opening, it was in the next three years and beyond of hard work that followed. After college one of the hardest things about going straight into our family business of real estate was how encompassing it was. My mom used to always say, “Real estate is not a job, it’s a lifestyle.” At the beginning you have to hustle, like really, really hustle. You’re working all day, showing clients in the evening, writing contracts late at night, working weekends, answering phone calls, and you’re constantly plugged in. I saw my mom do this growing up and thought, I’ll never do real estate. She has no life! I figured if I was going to spend my life working, why not do something I loved so much that it would never feel like work? Ah ha! Why not do fitness full-time? Boy was I in for a shock. That first year opening up MOVE was one of the hardest years of my life. We were thrown into the trenches. Jarrod and I were at the gym way before the sun came up and home after dark. We even lived in walking distance so we could get up there at a moments notice. Several times we joked about just putting a bed in the office. We coached every class together and spent our off time learning how to run a business. When no one showed up for our class we would lock the door, turn off the lights and take a quick nap on our ab mats. Too exhausted to work out. A far cry from healthy, we grabbed take out chinese food or fast food from P’Terry’s on our way home, then plopped in bed only to do it all over again the next day. To this day I cannot think of eating Snow Pea Chinese food ever again, or really any Chinese food for that matter. Let’s just say we got a fast track course in Business 101 that year. Not to mention we decided to get married and start a life together at the same time. All of a sudden the answering phone calls, meeting clients and “life encompassing work” I did as a Realtor didn’t seem too tough. Perspective is an amazing thing. Looking back, my mom always had time for me growing up. She worked hard, but she was at every game, school event and life event. Her time was flexible. She was her own boss and was able to create the life she wanted. She knew what she wanted. She knew what was important to her and what it took to get it. Then she worked hard for it. And she stuck with it. She is still working hard, improving everyday, mentoring me and providing for the life she wants with my Dad. They travel constantly. They are madly in love. They have balance. I value her for that. At the end of the day I don’t think it matters what your passions are when it comes to working toward the life of your dreams. I think it matters what your core values are. Let me explain. One of my passions has always been fitness. I have been an athlete my entire life. I live and breathe fitness. I am so passionate about it that whether it’s my job or not I will make time for it. In fact when it was my job, I didn’t make time for it! The last thing I wanted to do was spend another hour at the gym for myself. The things I told my clients to do, I wasn’t doing. I felt unauthentic. I felt unhealthy. Funny how that works. My core values however, are much deeper than my passions. My core values give my life meaning. They aren’t just something I enjoy doing, they are the reason behind everything I do. They are essential to who I am, what I believe in and what my purpose is. Servitude, love, family, tradition, spirituality, gratitude, financial freedom, and purposeful living are the core values that currently drive my life. It doesn’t matter if I’m working in my passion or not, because if my core values are the driving force behind my work, I will feel happy, fulfilled and content. I will be using my strengths to best serve the world. I will be meeting my definition of success and still have time for my passions. That was my big wake up call. Work is work. It’s hard. It’s tiring. You won’t always want to do it. There will be obstacles. You will want to quit. Don’t stop. Don’t start over. Put your head down and keep going. Finish what you start. Continue to serve others, find your financial freedom, give your heart and joy and love and laughter to everyone you come in contact with. Find the meaning and value in your work. What is the ultimate goal? I am beyond blessed to have Jarrod running MOVE as I got back into real estate almost two years ago. I feel more balanced than I ever have in my life. My core values are being met and now I can focus on self-improvement and empowering others. I have time for hard work and I have time for my passions. I have peace. I have purpose. Today’s Daily Affirmation: I finish what I start. I am living purposefully. I am a hard worker. I am providing for my future. 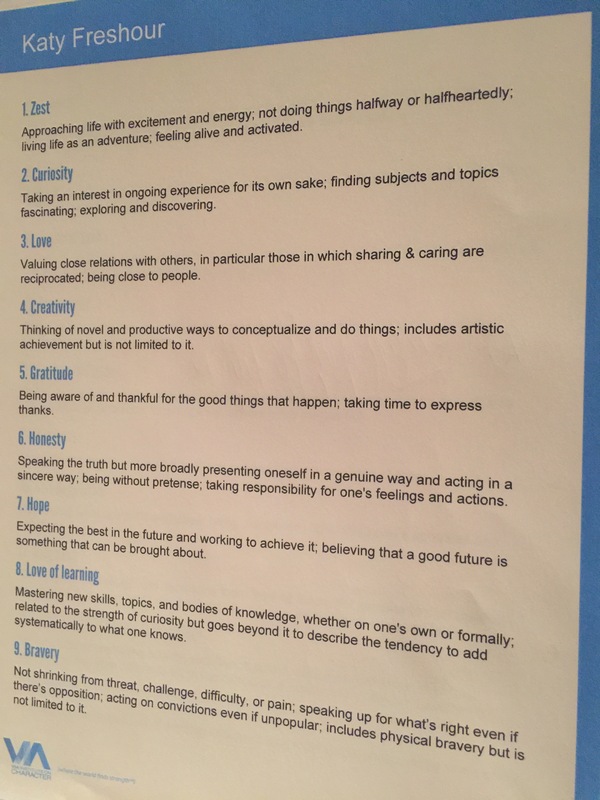 My core values guide my life. My beliefs are valid. My dreams are my reality. Everything I imagine I can achieve. I am already perfect, beautiful and whole. Halfway through the second day of the REV Real Estate Success Conference, my parents, Jarrod and I decided to take a longer lunch break and scoot over to the Pike Place Market for lunch. My mind was already racing as I tried to hold on to and filter through everything I was learning at the conference. Too much information coupled with unlimited coffee had me sitting in my chair buzzing. Being an Activator, one of the hardest things for me to do is to learn without being able to immediately act and apply. I am hungry for action. Seeing that there was still a lot to learn, we decided to head outside the conference for a mental health break and fresh air. After eating the most amazing fresh crab salad I’ve ever had, I looked at the schedule and read “Keynote: Dr. Fred Grosse – Black Belt of the Mind.” I had never heard of the speaker nor did I really have any idea what he was speaking on, but something inside me said GET BACK NOW. Thank you intuition because his talk was my second life changing moment during the conference. I immediately scheduled an Uber, found the waitress, paid the check and flew back to Bellevue, a 30 minute drive from where we had lunch in Seattle. Somehow we only missed the very beginning of his talk, thank goodness. As I got settled into my chair the first thing Dr. Fred Grosse said was, “What would you do with your life if you only had 180 days left to live?” Powerful, right? I sighed a bit of relief knowing the stress to get back was worth it! Everyone starting scribbling down what they would do. My response? Travel, teach spin :), serve others, spend time with family and friends, eat amazing food, write a book. Write a book? Weird. I didn’t even know that was in me! What other goals/dreams/desires am I holding on to that have yet to surface into my consciousness? He then proceeded to say, “Your heart is where the still small voice lives. Create a dialogue with your soul partner. What is inside of you? What kills you? Do you lack a sense of purpose? How is your health? Are you doing the things you love? Start expanding how long you’re going to be here will full purpose.” Wow. He could have just dropped the mic and walked off the stage at that point. I was hooked. The same still small voice that told me to get back in time to hear his talk, is the same voice he says to start directing the course of your life. Why should we be healthy? So we can live a longer, more purposeful life. Why should we do the things we love? So we can use our strengths to better serve others in a more purposeful way. Side note, I have always loved thinking about the meaning of life :). No, really. I obsess over it. What is my purpose? Why am I here? Ah, I love it. But it wasn’t until I heard this talk that I was able to start going after my purpose in a more effective way. Let me explain. The next action item was to quickly write down 15 goals for the next 14 months, to be completed by Dec. 2016. There wasn’t any time to think about what to write. Personal, professional, spiritual, whatever came to mind, we wrote it down. I was able to think of 15 goals and again some of them surprised me. This was getting really fun! Then we had to mark them in priority with 10s, 9s, 8s, etc. It didn’t have to be in order. They just needed to be individually prioritized. I marked five 10s, one 9, five 8s, and four 7s. That was already a wake up call. How many times did I say I had goals or things that were important to me and then finished the day/week/year and hadn’t come close to accomplishing them? Too many times. Which is funny because I love goals. I am very goal driven, but I have so many potential goals that I don’t prioritize them and they don’t get the attention they need to get completed. Grosse says, “The important part is clearing the slate to get to what’s important, but first you must define what’s important. Do this everyday. If you don’t focus on achieving your goals, you aren’t achieving your purpose in life.” Boom. That hit the nail on the head for me. As soon as the conference was over that day, Jarrod and I walked down the street and bought goal journals. We spent the rest of the night writing down our goals, putting numbers of importance next to them and devising plans on how to achieve them. Just sharing our goals with one another was powerful. Think about it, if there were goals on there that I didn’t even know I wanted to achieve, how in the world could he know I wanted it and how could he have ever supported me? We even switched journals and put a star next to the 6 things we thought were important for the other person. This was Jarrod’s idea and I LOVED it. Sometimes it’s hard to focus on what is important when you have so many things you want to accomplish. Jarrod knows me better sometimes than I know myself, so seeing what he thought I wanted to accomplish gave me a lot of clarity to let go of some as I focused on others. “Create a sphere that supports you.” Dr. Grosse knows the importance of not only accountability, but having a support network. Big hairy audacious goals are hard to achieve without a plan and a support group to help you get there. Externalize your goals and start to implement them. Visualize what it looks like after you have achieved your goal. How have you changed? Who would you have had to become in order to achieve that goal? * I LOVED that question. SO powerful. Then, what are the steps you would have had to take and who is around you helping you make it happen? It’s not enough to think about the end result, we have to identify the process behind it. The journey is what changes us and fulfills us, not so much the achievement of the goal. But I’m SO busy!! I cannot tell you how many times I’m running around “busy.” Friends ask how your day was and you say, “ohhhh it was SO busy.” But then you look at your list and you didn’t get ANYTHING done that you wanted to. How is that possible?! Because we are not being purposeful. Everyone is in chaos mode most of the time. We are responding to outside stimulus instead of making things happen. Are we spending our time at work on money making activities or on menial tasks? The purpose of money is to make money so that you can do what you want to do and create wealth to live off of passively for the rest of your life. Remember that water takes the form of wherever it is poured. We need to create our own ideal structure so we have time for purposeful activities and also rest/self-care. Dr. Grosse also advises us to not just focus on yearly goals, but to create a list of 10s that you would do on a daily basis to make your heart sing. This could be working out, drinking coffee, quality time with your spouse, walking your dog, etc. Anything at all that if you did it daily you would be happy. I LOVE that. Win your life by winning your day :). Then think of your list of things you could do every two weeks or once a month that would make you happy. Write it down. What about every six months? A year? Create a page in your journal for your list of daily, weekly, monthly, half a year, and yearly things you want to do purposefully to make you happy! In the rest of the journal, spend 3 minutes a day writing down your goals and action items to get your 10s accomplished with different deadlines. Create a separate list in your journal of just your 10s for the rest of the year (Dec. 2016) that you can keep adding to and coming back to. Start creating more focused time. The clock is running, how are we going to make the most of one year? This may seem overwhelming. At first, it kinda is. But don’t think about it, just start writing down your goals and prioritizing each one with a number. You’ll be surprised how effortlessly they start to flow out. Don’t carry any judgment with them, just write them down. Dr. Grosse says each of us has 10,000 goals inside us at any given time! WOW! I can’t wait to start exploring the goals in my subconscious. But let’s just start with 15. Once you get going it really is SO empowering. It is empowering to realize that we are in control of what we put into our mouth and how we spend our day. We can create a life of health and vitality and purposeful action or we can flow through life with other people’s currents guiding us and taking us where they want us to go. It’s our choice. Today’s Daily Affirmation: I am purposeful in my actions. My life has meaning. I am here to serve. I am living my life to the fullest. I embody the life of my dreams. I am capable. I am enthusiastic. I choose to be happy. I choose to grow. I am light. I am love. I am whole. One of the reasons I decided to start this blog was after listening to Hal Elrod speak at the REV Real Estate conference I went to last weekend in Seattle. Hal spoke about two game changers that I have already started implementing in my life and cannot stop telling people about so I thought this would be a good follow up to yesterday’s post. What I love about Hal’s story is his mental fortitude. After getting out of the coma, Hal was told he may never walk again. Instead of being defeated, he came to terms with not walking as his worst possible outcome and chose not to let that fear cripple him. He chose instead to be positive and thankful he was alive. He chose to focus on the possibility of walking again. This is the kicker…he gave himself 5 minutes to be as upset and angry as possible, and then he let it go and chose to move on. His motto was, “Can’t change it.” He even had rubber bracelets made for everyone that said “can’t change it” and showed us pictures of people who had tattooed the phrase on their body because of him! I can’t get over it. The guy died, was in a coma, told he would never walk again and then he gave himself only five minutes to be upset about it because he couldn’t change it!!! I cannot tell you how much of a reality check that was for me. I sometimes spend hours, days, months and even years still dwelling on things and people that have upset me. Hal says only spend 5 minutes, then move on. This was an action item I started using right away! Jarrod and I are already holding each other accountable by saying, “okay you have five more minutes to be upset/angry” and then we let it go. It is beautiful. Challenging? Heck ya. But there is so much more life to live than to worry about the things we cannot control. Traffic? 5 minutes. Missed workout? 5 minutes. Life shattering event? 5 minutes. That was the first big message, the second was the introduction of his “miracle morning.” Hal decided to find out what made the most successful people in the world successful. He wanted to find out the one thing that they attributed to their success. He ended up with a list of six things that the most successful people do every day, and he decided why not just do all of them!? He came up with S.A.V.E.R.S. A daily morning ritual he believes will not only transform your life, but take every aspect of it to the next level by showing you how to wake up each day with more ENERGY, MOTIVATION, and FOCUS. Seeing that I could DEFINITELY use all three of these, I started right away. He claims you only need 6 minutes…one minute for each one, but I have found myself needing at least an hour, and sometimes if I’m on a roll a little more. Point is, it’s flexible and once it becomes part of your routine it probably won’t take as long. Okay, so what are they? S: Silence- prayer or meditation. I use the HeadSpace app on my phone and meditate. I am currently at 15 minutes of guided meditation. He has a cool accent and is very calming. I have learned not to do this from my bed because I fall back asleep! Wake up, grab some coffee, plop yourself on a chair and get to it. A: Affirmations- anything you declare to be true. I like to look at myself in the mirror and say them to myself. Just like that cute girl in the video :). It helps me believe what I am saying to be true when I make eye contact. Yesterday I decided to add them to the bottom of my blog posts. Feel free to steal mine. Things I am currently affirming myself of: I am strength, beauty, love, capable, confident, whole, powerful, successful, radiant. You can also google affirmations and some pretty awesome ones pop up! V: Visualization- How do you envision your life now? How do you envision it will look like in the future? How do you envision getting there? A lot of times we only think about where we want to go and don’t envision the steps it will take to get there. Make sure you plan out the steps in your mind as well. If you visualize yourself 20lbs lighter, think of the healthy food you’re eating, workouts you’re accomplishing and friends holding you accountable. My current visualization is with my husband Jarrod and my pup waffles. We are laughing and radiating love and happiness. We are healthy and fit and confident. We are surrounded by loving friends. We live in a beautiful contemporary farmhouse in Rosedale with chickens 🙂 and Mike Johnston’s awesome TRUTH artwork covering the walls. We have two kiddos running around the house laughing and playing. There are italian lights strung up in the backyard, a fire pit and large oak trees. There’s a cool breeze and a nip in the air. Music is playing and we are dancing. Life is sweet. E: Exercise- This one I thought I had down because I love working out in the morning, but then I changed my mind about what it meant to me. Since I still had two more SAVERS to do after my workout, I didn’t want it to be something I left the house for because then I wouldn’t be in the mental space to finish my miracle morning. I would be up and about and on to my daily schedule. So I decided to use it as a gentle yoga flow that will enable me to stretch and wake up my body for the rest of the day. I have been following morning yoga sequences on YouTube. “Yoga with Adriene” is pretty good! Shelby, the owner of Bfree Yoga also gave us a quick morning sequence to get us up and moving when we are not at the studio. BTW, Shelby’s yoga class is pretty much my favorite thing to do in the world so doing it at home without her really isn’t the same. If you have a chance, go check her out, she will change your life. Anyway, get up, stretch, run, do yoga, anything that gets your blood flowing, heart beating, mind awake and body moving! R: Reading- This can be any book, article, podcast you choose. I have been devoted to Brian Johnson’s daily Philosopher’s Notes. He reads the best personal growth books and then summarizes them in an easy to follow Cliff Note style summary. 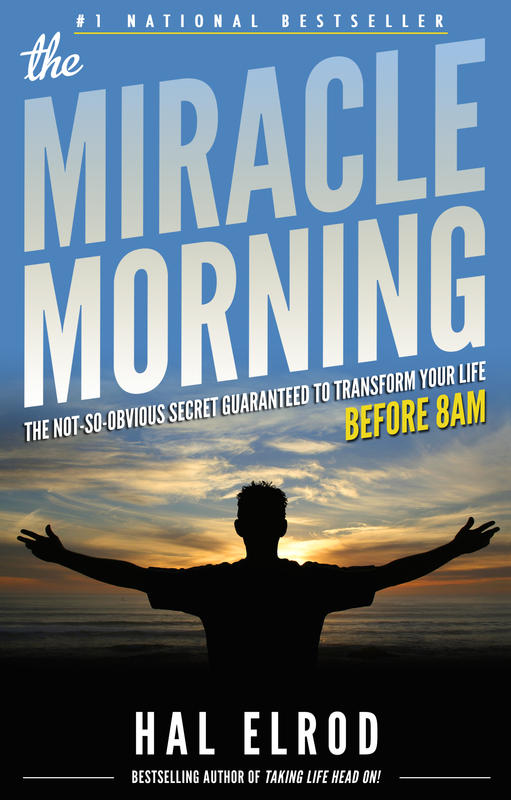 This is also a good time to read Hal’s book as you’re getting started with your miracle morning or read another personal development book that excites you! I also love to listen to TEDtalks as I go for a run…two birds, one stone! I just have to make sure to get home and write :). S: Scribing- OKAY, this one is my FAVORITE! I love to write, but I never prioritize it. Shame on me. I want it to be and sound perfect, so I just don’t do it. Ah, so ridiculous. But now that it’s part of my miracle morning, I can’t not do it! So that’s what I’m most excited about with the SAVERS and what is going to keep me blogging away day after day. I also really love that it’s the last one because the five before it put me in a really awesome creative space. But honestly, there is no need to start up a blog. I have just wanted to for years so this was a great opportunity for me. If you don’t want to write, this is also a great time to journal. It can be a prayer journal, goal journal, gratitude journal, funny jokes, random thoughts, whatever you want it to be, just take some time to write/type it out. Today’s Daily Affirmations: I am thankful to be alive. I will live today in my fullest capacity. I will give love. I am loved.